To make sure your business is in top shape for the rigors of the summer design and remodeling season, keep these four vital signs in check. Looking for similar articles? Search here, keyword BUSINESS. ASID will once again partner with NeoCon at The Merchandise Mart in Chicago, June 15-17, 2015. 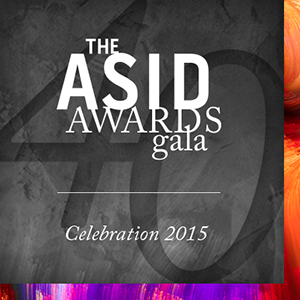 Register today and don’t forget to visit the ASID community lounge at Booth #7-3012. 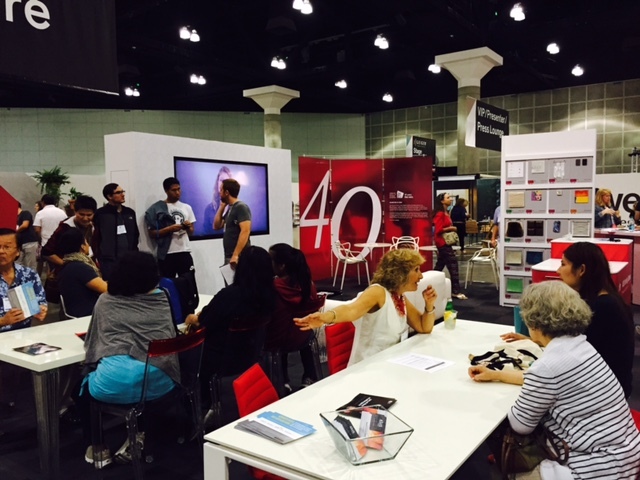 ASID participated in Dwell on Design, May 29-31, at the Los Angeles Convention Center. 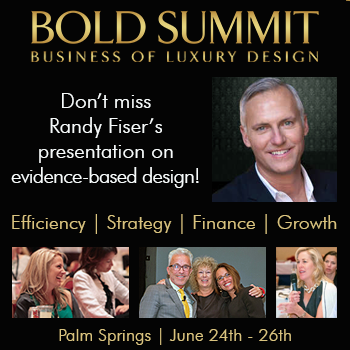 The ASID experience included 18 continuing education sessions, many standing-room only, and designer consultations where consumers spoke one-on-one with an ASID designer. The ASID booth (pictured) was humming, drawing attendees in with the popular “ASID fueling station,” where folks could grab a cup of coffee or power up cell phones. The booth also included a materials wall from Material ConneXion and gorgeous Kartell furniture. Missed us at Dwell on Design? Don’t worry, you can check us out at NeoCon, June 15-17. Don’t miss your opportunity to network with top firms and designers at the upcoming ASID Student Roadmap program at NeoCon on Tuesday, June 16 from 1:45-4 p.m. Experience a curated tour of NeoCon with professional designers who will help you navigate the trade show. Students will meet with their tour leader and be guided to pick up badges, navigate the Merchandise Mart, and tour showrooms. Register today. The American Society of Interior Designers (ASID) partnered with the International Federation of Interior Architects/Designers (IFI) for World Interiors Day on Saturday, May 30, 2015. This year’s theme was “Design for All,” and ASID encouraged its members and all design professionals to spotlight the interior design community’s philanthropic movement to make impactful design more accessible and inclusive for all. “We have been frustrated at the increasing amount of projects where we have spent hours on custom design work for clients that is then taken and ‘bid out’ and fabricated by someone else,” says Carey Schuster of Yellow Goat Design. What can designers do to preserve the integrity of their work and keep their specifications original once the project is in the hands of a developer? Schuster and Joyce Romanoff of Maya Romanoff, both members of Be Original Americas, offer their insights. Carpet and textile manufacturers with close ties to Nepal—where the number one export is hand-woven carpets—are helping nonprofits deliver aid to victims of the recent earthquakes. Thousands of importers and rug designers around the world work exclusively with GoodWeave certified mills, including in the Nepalese capital of Kathmandu, where the impact from the devastation threatens to jeopardize the economy. GoodWeave field staffers in Nepal are currently delivering aid, temporary housing, and emergency medical care, reaching an average of 400 workers daily. Need another reason to include nature in upcoming projects? A team of Canadian researchers found that being exposed to nature increased cooperative behavior among participants in their studies. People participating in this project experienced nature via videos, not actually by being in nature. Kitchen & Bath Design News recently asked dealers and designers in the kitchen and bath industry: “How much of a factor is Internet competition to your business right now? If it's something that you view as a significant challenge, how are you addressing this?” Here’s what they said. Baby boomers, otherwise known as empty-nesters, are currently the hottest demographic looking for good design. And the reason why: Because they have disposable income. This demographic is eager to spend their money on making their environments comfortable and custom-made to their unique desires. The SYSTEM4® is an upscale design driven modular furniture system that caters to custom needs and flexibility required by cutomers. With 10 colors available in stock, you can find a solution for any Sideboard, Credenza, Shelving and Filing needs! Let your client present success, style and environmental responsibility with the Swiss engineered and patented SYSTEM4 Line. Problems Are Important. How You Respond Is More Important. As a service provider, you and your firm cannot always control what happens to your clients. You do your best to make things go well, but stuff happens. What you can control is your response. U.S. hospitals are making an effort to use safer chemicals and reduce waste, and they’re seeing results according to a report released by the Healthier Hospitals Initiative. The study demonstrates the results of initiatives designed to improve both operating efficiency and patient outcomes, such as safer chemicals, waste reduction, and energy efficiency. As the field of sustainable design grows and matures, more practitioners are turning away from a field that is based only on clear-cut metrics, realizing that the fuzzier areas of human comfort and productivity are very important as well. Consequently, space acoustics are garnering growing attention in sustainable projects. The mining of the world's most beautiful marble is a majestic affair, but it's also a wasteful one. Minor discolorations, damage, and prominent veins cause only 30 percent of quarried marble to be used in finished products. Inspired by the wastefulness of marble quarrying, Italian designers Paolo Ulian and Moreno Ratti decided to launch a new line of vases showing that even the dregs of the marble trade can be used to make some exquisite objects. Wood panel applications were hot at this year's Dwell on Design show at the Los Angeles Convention Center. Other trends include a move away from stainless steel in the kitchen to brown and black tones, plus delicate handcrafted lighting and colorful outdoor furnishings. Here's a selection of what was on display at the 2015 show, which ran last week. To keep today's buyers engaged, presenting high-quality models is more imperative than ever. With the potential to improve revenue and reputation, builders can't afford to minimize the customer appeal of model homes. Cleaner air, improved comfort, and consistency are a few reasons to consider a radiant system. The heat produced by a radiant system is consistent and stays in the living space or work area; floors are warm enough to comfortably sit on; and furniture can be placed wherever desired without the hassle of radiators, heat vents and grills. Art ties a room together, adds interest and drama, and fills out empty spaces. Hung properly, art draws your eye up, down and around a room. So you don’t make the mistakes of others, follow these two pieces of advice and hammer on. Should a “work” place be any different from the other spaces people inhabit? The relationship between individuals and their environment can be a crucial determinant of how they feel, perform, and interact with others. So, designing spaces that inspire, energize, and support the people who use them is a global imperative. People’s connection to nature – biophilia– is an emergent field that can help organizations meet that challenge. A new study from Interface’s Human Spaces explores the relationship between psychological well-being, work environments, and employee expectations on a global scale. “We could make the hospital itself into a treatment for the patient.” Now, there’s a design challenge. But it’s one that Emily Landon, infection control epidemiologist for the University of Chicago’s Center for Care and Discovery, hopes that providers, architects, and interior designers will take on in the near future. Her facility is in the midst of a comprehensive research study called the Hospital Microbiome Project, collecting and testing thousands of microbe samples and manipulating patient room conditions in order to learn how the environment itself contributes to healthcare-associated infections. Construction and design teams are constantly balancing the desire for a high-quality look and feel with adherence to acoustical requirements and project budgets. This juggling act especially rings true when it comes to wall and ceiling choices for educational institutions. Whether choosing basic wall and ceiling panels or custom woodwork, noise is a primary consideration in the bustling academic environment. No matter how it looks, it must perform. Chipotle Mexican Grill will be opening a 9,197-square-foot space at Sunset Park’s Industry City in Brooklyn to create and test interior designs for its restaurants. The designs that are built and tested at their Industry City space will eventually make their way to Chipotle restaurants around the country. Hotels are rethinking room design as guests’ work and play priorities merge, creating the desire for a space that caters equally to both. While major brands have met this demand by adding public co-working spaces and more connected rooms, new hospitality brands are incorporating elements of a business and leisure stay from the start.